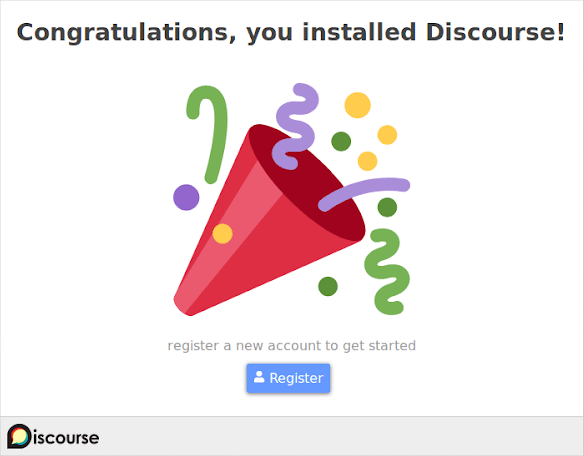 Discourse is an open source discussion platform used for forums or long-form chat rooms. It provides an advanced forum software with numerous awesome features, beneficial both for administrators and customers. 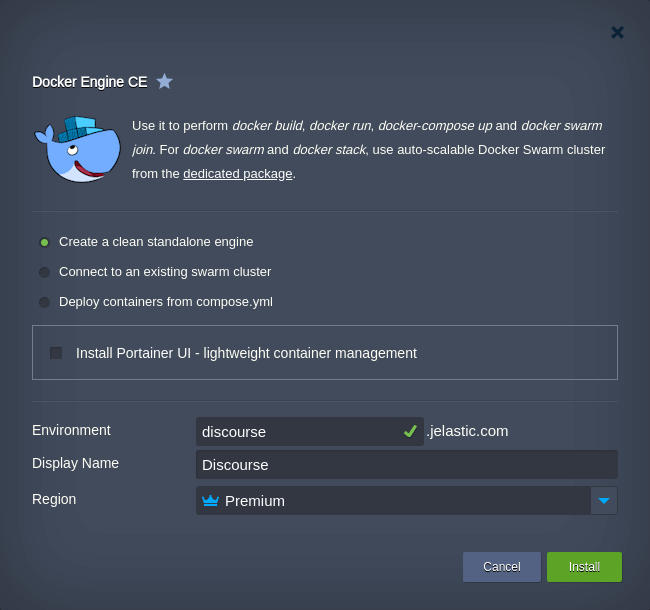 In this step-by-step guide, we’ll describe how to deploy and host Discourse platform inside Docker containers using Jelastic PaaS. 1. Open the Jelastic Marketplace, search for the Docker Engine CE package and click Install. 2. Within the opened frame, select the create a clean standalone engine option, adjust the Environment and Display Name up to your needs and, if available, choose the preferable Region. Click Install to proceed. Package automatically attaches a public IP to the node (if available for your account) for external connections. Tip: After installation ensure that your node meets Discourse hardware requirements (i.e. cloudlets count and disk space). We recommend to set higher setting during installation and tune up later on based on the actual application load. 3. Once your environment is created, access the Discourse node via SSH. In the current example, we’ll use Web SSH connection. 4. Create a dedicated directory and clone the Discourse launcher tool for Docker container from the linked official repository at GitHub. 5. Now, go to the created folder and run the Discourse setup tool. Tip: You can learn about the recommended email providers for Discourse and their appropriate SMTP parameters at the official documentation. Wait a few minutes for the launcher to complete the installation. 6. Now, access the domain name provided in the previous step. Follow the displayed steps in accordance with the developer recommendations to register admin user and customize the Discourse installation up to your needs. That’s it! Your instance of the Discourse platform is up and running at one of Jelastic PaaS service providers.